high temperatures from braking, low heat transfer properties of the carbon fibres. 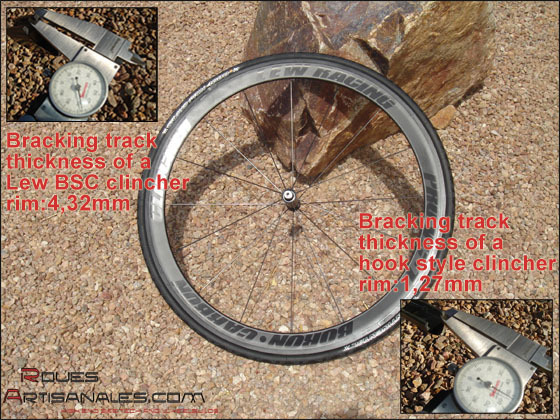 That’s why the carbon clincher wheels have never been a good deal because of their lack of reliability and resistance. excellent mechanical properties for this task. 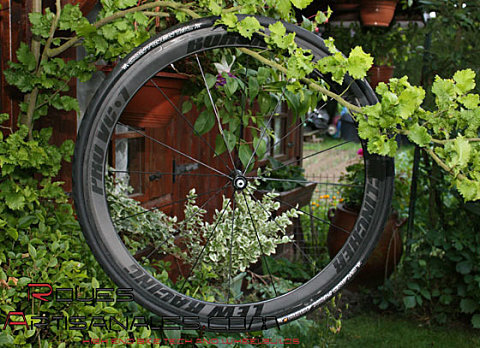 However alloy rims are heavier than carbon rims, meaning higher inertia and lower performance. ultra resistant and light components. hook system was not modified since the first clinchers with wire beads. These beads could stretch with the inner tube air pressure, so they required a hook. is, like many composites, exceptional. Thus, the tire can stay perfectly in place in spite of the high pressure. out of carbon but limit the clincher pressure to 8,5 bars, or Reynolds (old Lew process) at 10 bars. The Lew Pro VC-1 has the advantages of both without the disadvantages. using mettallic wire beads are very cheap, heavy and are not really on a par with the performances of the rim itself. So although the first inflation was done with some trepidation our fears proved unfounded. We have a first ride at 9 bars. definitely a good cornering grip. keep one to two bars below the tire’s maximum pressure because the rim will heat up and the inner tube will get pressure. Finally, the rims have new but still understated decals. They are bigger, nicer and easier to read. 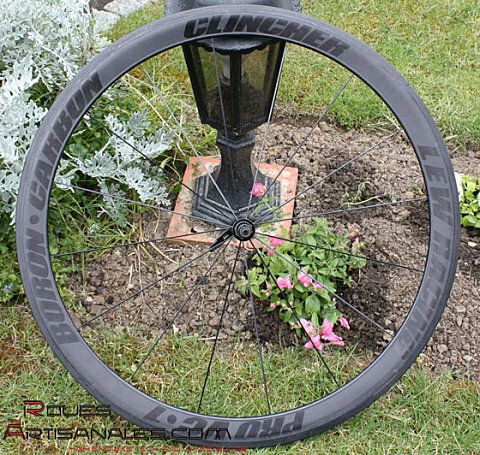 The clincher rim obviously receives a special « Clincher » decal. 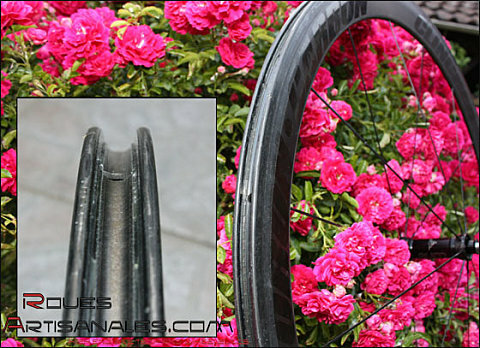 The price will be on par with the B+ (sub 250g) tubular rim which is US$1200 or about 800 euros.